This morning Chris Greenwood, the crime correspondent at the Press Association, tweeted that "the gods of public order have surely answered the Met's prayers as heavy snow falls in Westminster". Predictions, however, that the weather would dissuade students from protesting again today proved wildly inaccurate: the power of prayer is obviously as unreliable as ever. 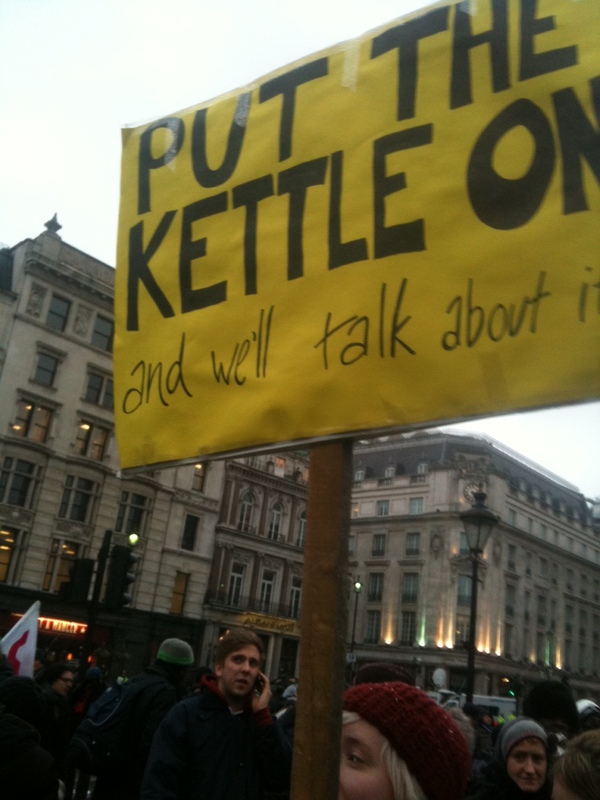 In London at midday, hundreds of police poured from Horseguards Parade to cut off large numbers of demonstrators marching to Parliament Square, but instead of allowing themselves to be corralled inside a 'kettle' in Whitehall, protest tactics had changed. At 2pm, students avoided police lines and spread out around central London, leaving behind a small rally in Trafalgar Square. Trying to contain a peaceful but mobile and flexible protest was then apparently as difficult as herding cats - when the police attempted to corral students on Aldwych, they simply didn't have the numbers to contain the demonstrators. 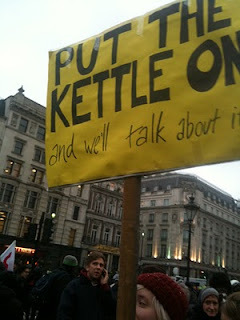 It was only when students drifted back to Trafalgar Square that the police were able to return to their normal public order tactics, blocking every road around the Square to try and impose one very large kettle - but reports say it leaked like a sieve, with protesters adopting widely circulated advice on targeting the weak points in the police lines. Around the country, there were large demonstrations in Bristol, Manchester, Leeds and Brighton, whilst council offices were briefly occupied in Oxford and Birmingham. This evening, a small group of students remained inside a kettle in Whitehall, but Met Commissioner Paul Stephenson's claim that the "game has changed" has turned out to be more accurate than he realised - with young protesters rather than the police rewriting the rules. This is hilarious... Police chase protesters across London, set to Yakety Sax (the theme from 'Benny Hill'). I guess there are plenty of other people who, like me, really couldn't care less about next April's wedding of William Windsor and Kate Middleton. I suspect that even those who express their enthusiasm for the couple's nuptials are more fascinated by the celebrity of the groom than they are moved by feelings of reverence for the royals. But here's a thing: how much difference do us republicans really think they can make by complaining that it's all nonsense? Yes, it is bizarre that the nation has been granted a bank holiday, a day-off, the kind of absence from work that businesses vehemently complain about when it involves strike action, for nothing more than the wedding of a upper-class young man and his upper middle class girlfriend. It is just as preposterous that this is happening for no other reason than his biological accident of the groom's birth into staggering privilege. But in all honesty, how much of an impact do we hope to make by simply responding in a curmudgeonly manner? Don't get me wrong: I share the view that an obsession with the Windsors speaks volumes for the immaturity of our 'advanced' democracy and for the way that fame and notoriety, driven by the media's need for cheap, disposable 'news', has elbowed aside genuine achievement and distinction. So here's a though: how do we offer an alternative that celebrates individuals from working class communities, people whose contributions are usually ignored by the national fixation with the supposedly 'beautiful people'? Rather than grumbling about the ridiculous pomposity and excess of the royal wedding day, let's make that day - 29 April 2011 - our 'Local Heroes Day'. I bet we all know people who we think are amazing. I can immediately identify the person who regularly checks in on housebound pensioners because the council's social services help is so erratic; someone who gives long hours to helping people navigate the complexities of dealing with the UK Borders Agency; or even the friend who cooks and delivers free food to people who have just come out of hospital (and brought round some of the best chana masala I've ever tasted when I came out of the Royal London). Then there's my friend Vivian and the fantastic literary events she organises, or the campaigners who have struggled long and hard to make sure that Queen's Market in Upton Park remains open. Without people like these, life would be poorer, bleaker and far less interesting. I'm not suggesting something like the ludicrous Pride of Britain awards, with its royal patronage, corporate sponsorship and z-list celebs. On 'Local Heroes Day', all we really need to do is make a point of going out of our way to thank the people we think matter to our communities. We don't do it enough - and it's a far, far better use of a bank holiday than ranting at the TV or finding ways to desperately avoid the royal wedding coverage. 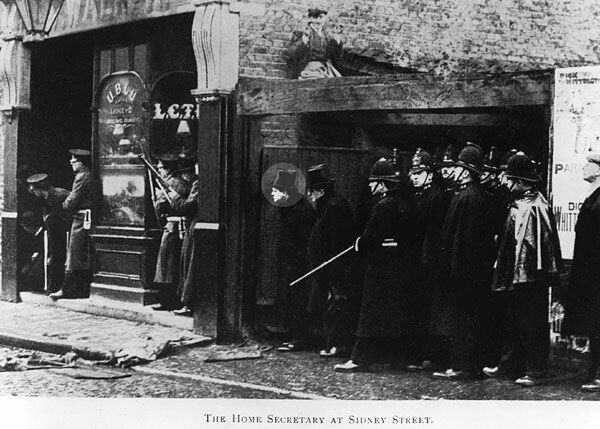 To commemorate the 100 year anniversary of the siege of Sidney Street, the Museum of London Docklands opens a new exhibition in December, London Under Siege: Churchill and the Anarchists, 1911. In partnership with the Jewish East End Celebration Society, the exhibition will set the murders and the siege in their historical and social context, exploring immigration at the time and the then Home Secretary Winston Churchill's role at the siege. The siege of Sidney Street, popularly known as the "Battle of Stepney", was a gun battle in 1911 where over 200 armed police and a detachment of Scots Guards laid siege to 100 Sidney Street in Stepney. It ended with the deaths of two members of a politically-motivated gang of burglars supposedly led by "Peter the Painter", and sparked a row over the involvement of the Home Secretary, Winston Churchill, whose on the spot advice included refusing to allow the fire brigade access to the building when it caught fire. London under siege: Churchill and the anarchists, 1911 opens on 18 December 2010 and runs until April 2011 at the Museum of London Docklands, No1 Warehouse, West India Quay London E14 4AL [Map]. Entry is free. In 2003, anti-terrorism police raided a north London flat after a tip-off from the Algerian government, which was almost certainly based on evidence extracted using torture. They had alleged that there was an Al-Qaeda plot to attack the London underground using the poison ricin. Five men were arrested and Tony Blair said the threat of international terrorism was "present and real and with us now and its potential is huge". In the incredibly paranoid and hysterical period after 2001, the press inevitably went berserk, with The Sun reporting the discovery of a "factory of death" (an sensationalist claim that was recycled following the police raids in 2006 of my neighbours in Forest Gate). The Daily Mirror front page (above), which was reprinted and displayed last night, had a map of the UK emblazoned with a skull and cross bones and the headline: "It's Here". 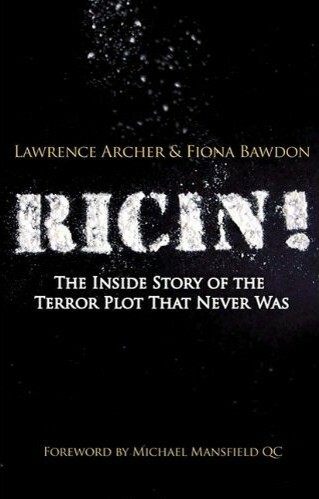 Tomorrow evening, Newham Monitoring Project and Newham Bookshop present Lawrence Archer talking about his book Ricin! The Inside Story of the Terror Plot That Never Was. Archer was the jury foreman in the trial of an alleged al-Qaeda cell that anti-terrorism police alleged had planned to release the deadly poison ricin on London in 2003. However, the Old Bailey trial revealed that the ‘ricin plot’ had been a shameless distortion by government, media and security services: there was no ricin and no sophisticated plot. In 2005, defendants Samir Asli, Khalid Alwerfeli, Mouloud Bouhrama and Kamel Merzoug were all cleared. Next week, there are two secretive public council meetings. Those who live outside of the borough of Newham might wonder what this means - how can a meeting be both secret and public? They'll be unfamiliar with a local authority where every elected member belongs to the same political party and assembles with regimented, almost cult-like discipline. But next Tuesday, a meeting of the Cabinet takes place, with every Labour councillor in attendance. Those councillors will then remain in their seats for a full Council meeting. The public and press will be excluded from a discussion on 'Securing a Community and Regeneration Legacy of the Olympic Stadium', although really the decision has already been made. And then councillors will nod through a vote to take out an £80 million loan so that it can support West Ham United plans to lease the Olympic Stadium after 2012. Why is such a massive decision happening behind close doors? To protect West Ham's financial and business affairs, apparently. It is perhaps just as well that so many councillors are attending the Cabinet meeting, as a number of its Members and Mayoral Advisers have benefited from the football club's hospitality or are season ticket holders - they must declare an interest and exclude themselves. This includes the Dear Leader himself, who has made numerous visits to the Chairman's Suite at the Boleyn Ground. But the decision to take on such a massive debt, at the same time that the council is planning 25% budget cut over four years, will still go through. That's the way things work in Newham. Anyone else would think such a decision was insane. Who would borrow £80 million to give to a club that already has staggering debts, estimated at £110 million by its new owners at the start of the year? Then there is the obvious question of West Ham's current position at the bottom of the Premier League. At the start of this month, co-owner David Sullivan admitted that West Ham's debt still stands at £85 million and that relegation gives him "sleepless nights" because the club might not survive a drop down to the Championship. Why give council tax payers' money to such a high-risk partner? And why finance a proposal that a survey of West Ham fans shows has little support? The money itself will ultimately pass to the Olympic Park Legacy Company (OPLC), who take ownership of the Olympic Stadium and the park after the Games. It has no funds of its own, as its Chief Executive Andrew Altman told me in a meeting just after his appointment. The OPLC, which will soon disappear as it is subsumed into Boris Johnsone's 'Mayoral Development Corporation', is completely reliant on deals such as the one planned with West Ham to pay for the transformation of the Olympic Games site into a new Royal Park in 2013. Who would have thought that 'Olympic legacy' meant burdening the people of one of the poorest boroughs in the country with an enormous debt to pay, indirectly, for London's newest park? And who could have dreamed that this decision would have been taken in secret - at a meeting where councillors also plan to rewrite the terms and conditions of its own staff, slashing redundancy/severance payments, cutting annual leave and destroying staff morale (see this PDF for more on these plans)? People say that other local authorities behave in this way too, but I guess you have to live in Newham, dreading the impact that devastating cuts will have on local people, to appreciate just how terribly, terribly wrong this is. After Tuesday's meeting, any councillor with even a ounce of conscience should hang their heads in shame for the decision they are about to make. 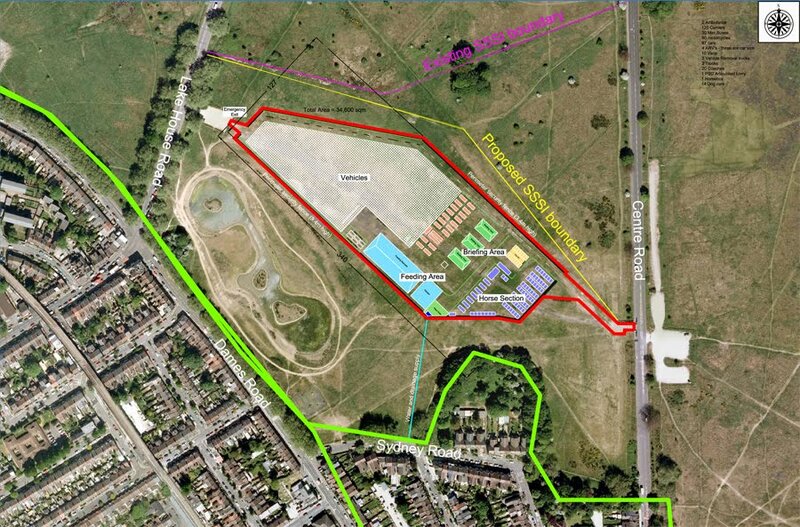 A reminder that this Sunday at 2pm is the chance to Take Back Wanstead Flats, where campaigners intend to mark out the boundaries of the proposed site of the police's Olympic operational centre (shown in red on the map above). 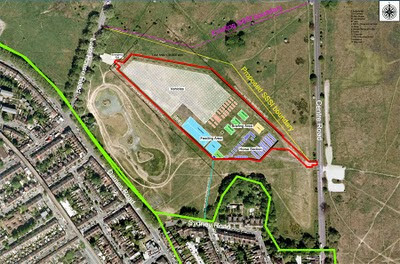 This will provide the first opportunity for local people to properly see for themselves how much space the police base will occupy during 2012. 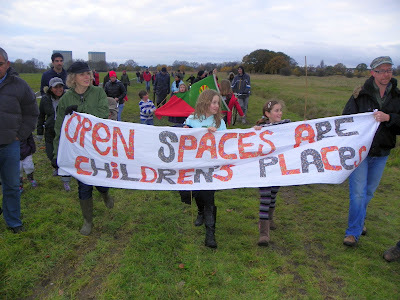 The Save Wanstead Flats campaign has argued that maps or drawings can never make as much sense to local residents as seeing its massive size for themselves but campaigners would prefer not to wait until construction starts and it’s too late to stop these plans. Don't forget to wrap up warmly - the BBC are predicting cold northeasterly-winds and the possibiliy of a few showers. See you there at 2pm! Tomorrow, local residents are heading to the Royal Courts of Justice on the Strand to ask the High Court to overturn Newham Council's decision to expand London City Airport. Campaigners from Flight The Flights are opposing Newham's decision to allow a 50 per cent increase in flights at London City Airport because it has failed to consider changes to government policy on climate change or properly consult boroughs and residents in the surrounding area. The council’s decision, made in October 2008, would increase flights from the airport from 73,000 to 120,000 a year. However, on 15 January 2009 the government announced its intention to reduce aviation emissions to below 2005 levels by 2050. 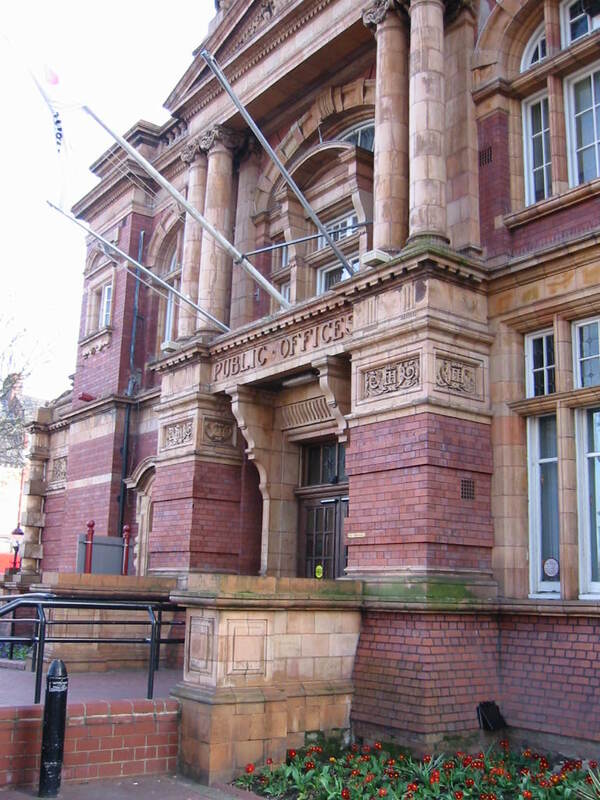 Newham Council decided to proceed with expansion anyway, reconfirming their decision at a planning meeting on 8 July 2009 and issuing formal grant of approval. The High Court hearing starts at 9.30am and will last for two days. Campaigners are represented by Friends of the Earth's Rights and Justice Centre and will be joined by Friends of the Earth London Campaigner Jenny Bates, Lib Dem MEP Baroness Sarah Ludford and London Assembly Member for the Green Party Darren Johnson. 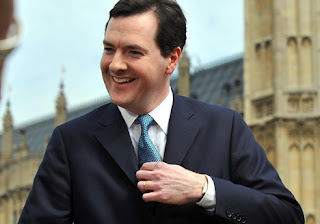 A decision is expected at the end of the year or early in 2011 and if the Judicial Review is successful. Newham Council would have to reconsider the application. "The residents who make up and support Fight The Flights have worked tirelessly for the past three years to stop the expansion of this airport, which already causes so much disturbance and pollution. This hearing will allow those who were not consulted, and those who were not listened to by Newham Council, a chance of justice." "More flights will mean more noise and air pollution for local people – these damaging plans must be overturned. Expanding the airport would increase climate changing emissions as well as adding to breaches of air pollution limits and worsening noise disturbance locally. London is not on track to meet either its own climate change targets or EU legal air quality limits - we should be developing plans that improve the situation, not make it worse." 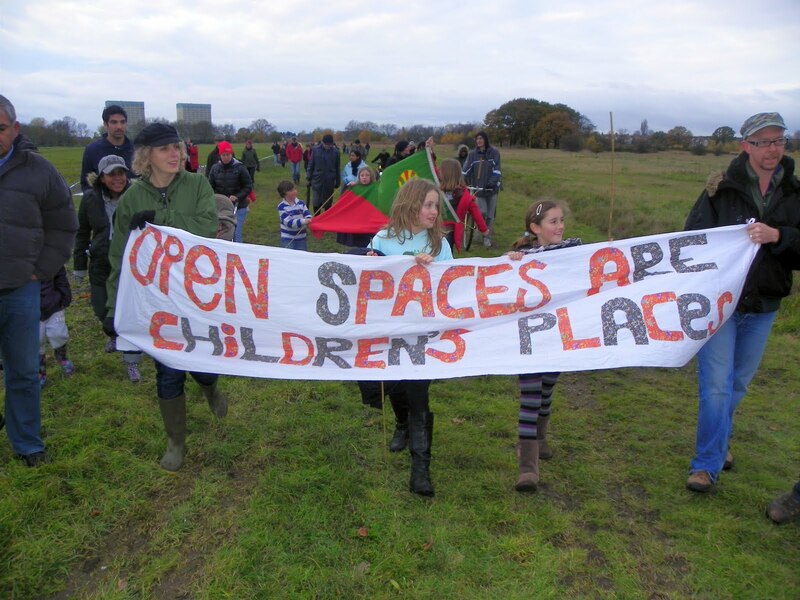 "We believe Newham Council has acted illegally by failing to adequately consult on its proposals and failing to consider Government policy on tackling climate change. This legal challenge aims to give both the planet and local people a voice in decisions that affect their wellbeing now and in the future." It shouldn’t come as a great surprise that a powerful institution like the Metropolitan Police, wrong footed and deeply embarrassed by the student protest at Millbank on 10 November, would throw its resources into a major operation to hunt down the protesters who had humiliated them. 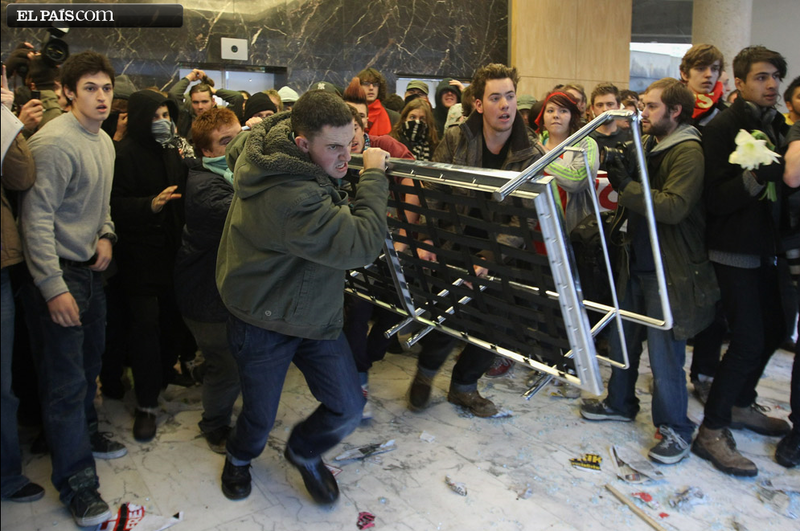 Buoyed by the ‘shop-a-student’ campaign organised by the Daily Telegraph and the obnoxious right wing blogger Guido Fawkes, there have already been more than fifty arrests. There are those who look back with fondness on the Foundry, the dingy bar, venue and art space on Great Eastern Street in Shoreditch that closed in May and is due to become the site of a depressingly corporate 18-storey hotel. My own recollection of the bar, based on the occasional and reluctant visit, was that it was a complete dump, the artwork was awful and it was full of pretentious tossers pretending that cod-bohemianism is somehow revolutionary. Well, I suppose that appeals to some people. 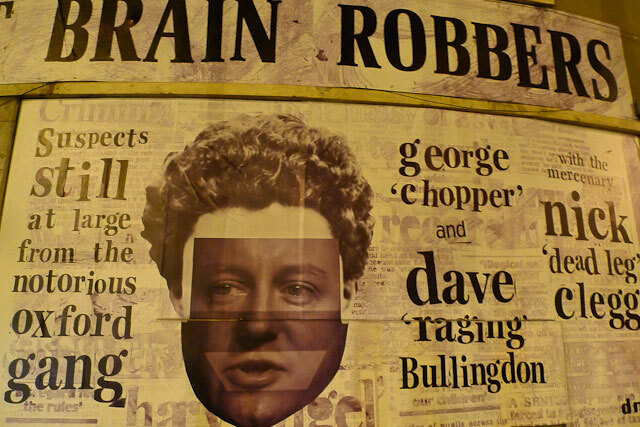 Far more impressive is the 'Great Brain Robbers' mural by Dr D that has been plastered on the front of the now empty building - a brilliant piece of anti-government propaganda. See here for more pictures. "As police face continued criticism for failing to control the march, the Observer has learned that defence firms are working closely with UK armed forces and contemplating a “militarisation” strategy to counter the threat of civil disorder. Derek Marshall, of the trade body Aerospace, Defence and Security (ADS), said that such drones could eventually replace police helicopters. He added that military manufacturers had discussed police procurement policies with the government, as forces look to counter an identified threat of civil disobedience from political extremists". The idea of a a “militarisation” strategy is incredibly alarmist and has certainly alarmed some people - or at least those prepared to believe that links between the police and the security industry is some kind of new development. 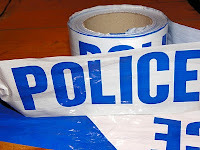 In reality, the rise of paramilitary-style policing in Britain over thirty years has resulted in the steady growth of an industry to supply the police with new gadgets and equipment. The trade group mentioned in the report is itself the result of a merger between three older industry bodies: the Association of Police and Public Security Suppliers, the Defence Manufacturers Association and the Society of British Aerospace Companies. Companies that are members of ADS are not talking to the police because of a new threat of civil disorder - it's what they do all the time. ADS has itself denied that its comment to the Observer about sale of kit to police forces has anything to do with recent protests. So why pretend otherwise? I believe there is a different message being conveyed here and that the presence in the byline of Mark Townsend, the Observer's Crime, Defence & Legal Affairs correspondent, should have been an immediate indicator of the need to exercise an enormous amount of scepticism. Some may recall that Townsend was responsible for a thinly disguised propaganda-piece for the National Extremism Tactical Co-ordination Unit (NETCU) in November 2008, written with a former army officer called Nick Denning, which claimed a "growing threat from eco-terrorists" and linked this to activists involved in Climate Camp. It was such blatant police spin that the Observer subsequently withdrew the story. Townsend is clearly in close contact with NETCU and today's hysteria about 'militarisation' is followed by a more telling piece of spin - another opportunity for the Observer to act as NETCU's mouthpiece, with unnamed 'police sources' claiming an increase in "the criminal intentions of political extremists" and “extreme leftwing activity”. In September, I wrote a short piece for the Manchester Mule suggesting that as police numbers are cut, the government may be persuaded of the benefits of cheaper alternatives such as "targeting potential 'troublemakers' even more than at present." With the debate growing over why the police were so unprepared for the student protest at Millbank, it looks as though NETCU is simply issuing a few reminders through the press to its government paymasters. It is using its friend at the Observer and its contact at the Sunday Telepgraph to say to ministers that, whatever else is cut, its role must be protected or further disorder cannot be prevented. A substantial increase in covert surveillance of anyone deemed a potential 'domestic extremist', a term that has no legal definition and can apply to almost anyone, is far more alarming - and far more likely to actually happen - than any nonsense about a supposed 'militarisation strategy'. No-one organises political events on a Friday night. It's almost a golden rule. But this evening's launch in Stratford of Dispatches from the Dark Side, a series of essays by the radical lawyer Gareth Peirce, was packed out, completely absorbing and, because of Gareth's long association with Newham, an opportunity to celebrate her extraordinary commitment to fighting injustices that most people choose to ignore. In the past this commitment involved challenging the state over its treatment of black and Irish communities and innocent so-called 'terrorists' like the Birmingham Six and the Guildford Four, people vilified during an earlier period of paranoia and suspicion. Now it means defending those who are caught up in the government's new and increasingly draconian 'war' against Islamism, suppression of which is used to justify 24 hour surveillance, house arrest and state complicity in torture, actions that Britain has the audacity to condemn others nations for participating in. Who knows, in the future perhaps another group - anarchists maybe, or anti-government campaigners in general - may become the new enemies (the concept of 'domestic extremism' certainly points in that direction) and the widening powers to suppress and harass in the name of 'security' will turn onto others. That's why we need lawyers like Gareth - and as she made clear this evening, campaigns to bring injustice to the attention of a public that might prefer not to hear what has become of their 'free' country. Tonight was also, quite deliberately, an opportunity to show support for former Guantánamo Bay detainee Moazzam Begg, who has been one of those horrendously vilified over the last year. The unsubstantiated and often irrational attacks on him by Gita Saghal and her supporters from February this year, which left many of us utterly confused and then increasing angry, have undoubtedly had an effect on Moazzam - as he said this evening, he is a survivor of torture and although he tries to appear confident and articulate, like the rest of us that isn't always how he feels. Inviting him to speak alongside Gareth was a way of expressing a little solidarity and it was great that he was able to attend. It's also to the credit of Stratford Circus that they ignored a complaint from at least one (as yet unnamed) Newham councillor and a telephone call today from anti-terrorism officers, saying they were aware of the event and asking for copies of any leaflets distributed this evening to be kept. When a literary event becomes the subject of state suspicion and condemnation by council morons, you begin to understand why solidarity is so important. 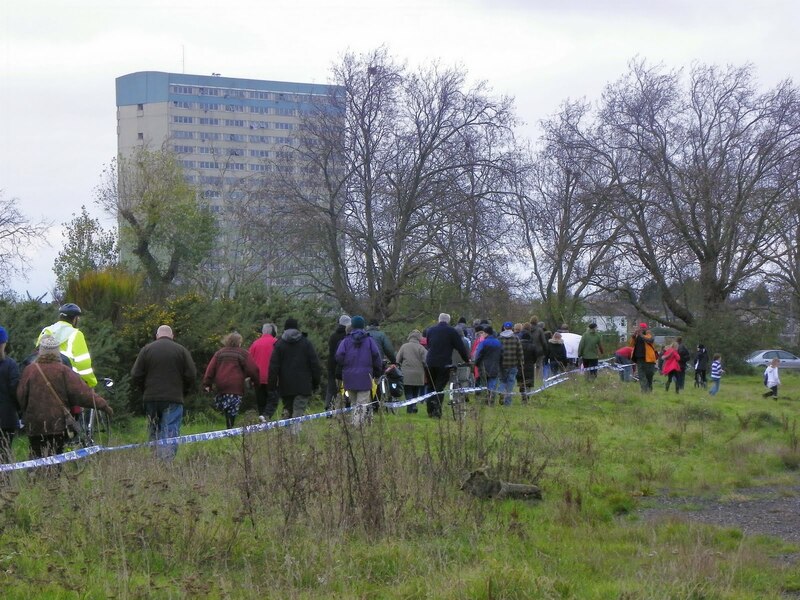 In ten days time we have another event organised jointly by Newham Monitoring Project and Newham Bookshop - about the 'terror plot' that never existed. 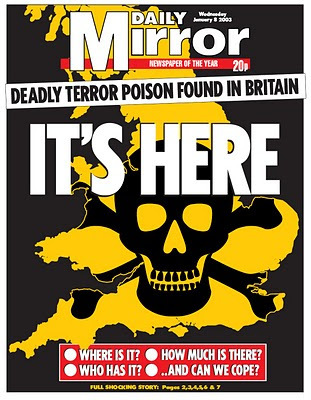 In January 2003, the media splashed the news that anti-terrorism police had disrupted an alleged al-Qaeda cell, poised to unleash the deadly poison ricin on London. Police had reportedly found traces of ricin, as well as a panoply of bomb and poison-making equipment in the cell’s ‘factory of death’ – a shabby flat in north London. ‘This danger is present and real, and with us now’ announced former prime minister Tony Blair. But, when the ‘ricin plot’ came to trial at the Old Bailey, a very different story emerged: there was no ricin and no sophisticated plot. Rarely has a legal case been so shamelessly distorted by government, media and security forces to push their 'war on terror’ agenda. In Ricin! The Inside Story of the Terror Plot That Never Was, jury foreman Lawrence Archer and Fiona Bawdon give the definitive story of the ricin plot, the trial and its aftermath. The event takes place on Monday 22 November at 7 pm at St John’s Church, The Broadway, Stratford E15. Tickets cost £5 from Newham Bookshop (020 8552 9993) and copies of the book, published by Pluto Press, will be available to buy. Kudos to Spanish newspaper El Pais for photograph of the day from the national student protest at the Tories' Millbank headquarters. 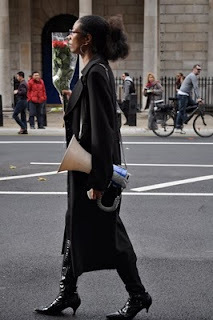 More great pictures here. Steve Martin & the Steep Canyon Rangers perform Martin's original a capella 'gospel' tune at this year's Austin City Limits for the non-believers among us. 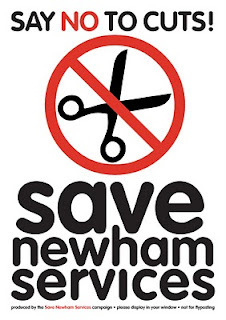 Publicise, encourage, support and provide solidarity to local opposition to cuts in the London Borough of Newham. 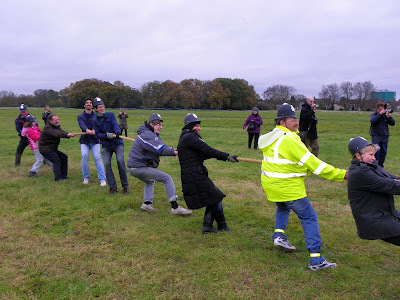 Provide a point of contact and coordination for local opposition to cuts in the borough. Research and publicise the potential impact of cuts on people living in Newham. Put pressure on local elected representatives to stand alongside local people to insist that cutting services is dangerous, unnecessary and must be opposed. Ensure that our local experience is fed upwards to all regional and national opposition to the government’s cuts programme. Call for greater transparency and accountability within public services in Newham. A website has been set up - see savenewhamservices.wordpress.com for more details. The next planning meeting is on Thursday 18 November at 6.30pm, again at Durning Hall Community Centre. It is open to anyone who wants to get involved in developing and widening the campaign. At the beginning of October, the Guardian published an article revealing that, despite pressure from central government, only 66 local authorities had already managed to publish every item of their spending over £500. By the end of this year at the latest, all 326 councils in England must have systems in place to provide this data. In September, the government published its guidance for local authorities, which states that "data should be published in a timely manner and with a licence that allows open reuse" and that "files are to be published in CSV file format". Both these requirements are mandatory. However, as Chris Taggart of OpenLocal highlighted at the end of September, many of the initial batch of 66 councils have already managed to completely ignore these instructions, by publishing insufficient or incomplete information in PDF format and therefore making the data extremely inaccessible. At least there is time for these councils to fix their failure to follow the guidance. We can expect the new England-wide system that starts in January 2011 to include many more examples of data that does not indicate department names, identify suppliers or describe what different payments were actually for. London Borough of Newham will comply with the regulations regarding publication of payments set out by Government. I guess that's an abrupt 'No' to earlier publication, then. But at least this otherwise anodyne statement confirms something - that Newham council promises to publish its spending on a monthly basis, in CSV format, with the detail of "all individual invoices, grant payments, payments to other public bodies, expense payments or other such transactions", broken down into meaningful expense areas and including supplier names. That's what the regulations require. Paul Hanes of Fourman Films has posted this video from Saturday's United Families and Friends Campaign (UFFC) protest from Trafalgar Square to Downing Street against deaths in police custody, in prison and in secure psychiatric care. There are also photos on Indymedia UK and Harpymarx (Louise took the great photo below). I wasn't able to make it on Saturday because of a promise to see friends in Brighton (one I've known for 30 years) who are heading to new jobs in Europe. But for a decade, I was one of the principal organisers of this annual remembrance procession along the same route down Whitehall. After the tenth year and with UFFC essentially wound down as a campaign, those of us left making arrangements for the march decided to call it a day. Although it had gradually been ignored completely by the government and the press, without doubt the procession's most important element was the gathering together of bereaved families, acting collectively and in solidarity with each other. However, it was also emotionally difficult for many families and harder to explain how taking the same action every year was making any impact. The small group that planned each procession was just too exhausted after ten years to come up with anything else that was quite as powerful. We also really missed the crucial contribution made to the planning of the annual march by our friend Gilly Mundy, whose sudden death in 2007 was such a huge loss, politically as well as personally. Nevertheless, there is still no other national gathering of custody-death families and that is why I was personally relieved when, after a break last year, others have stepped in to pick up the UFFC banner. From reports, it seems that the police at the gates of Downing Street refused to accept a letter from the marchers, as has been customary in previous years, which is itself a reminder that protests don't just happen but need considerable organisation. The intense security around Downing Street meant that a delegation to No 10 to hand in a letter was only possible with prior negotiation each year with the police. That didn't happen this year. One conclusion to draw from this is the need for greater skill-sharing - those of us who previously organised the march need to pass on what we know to avoid a repeat of the same problem in the future. But another conclusion is to consider whether it is possible to hold a wider caucus or convention of custody-death families that can collectively help to organise an annual protest, ensure that it is bigger and that it reflects the true scale of the state's betrayal of bereaved relatives and their loved ones. As a trustee of INQUEST, the charity that supports families following a death in custody, I would be keen to see such a national gathering, one that enables bereaved families to meet, debate, plan and organise - and perhaps succeed where some of us failed after ten years and organise a protest every year that is as powerful as the remembrance procession, but with a far greater impact on the state and on public awareness of its failure to protect those held in its custody.